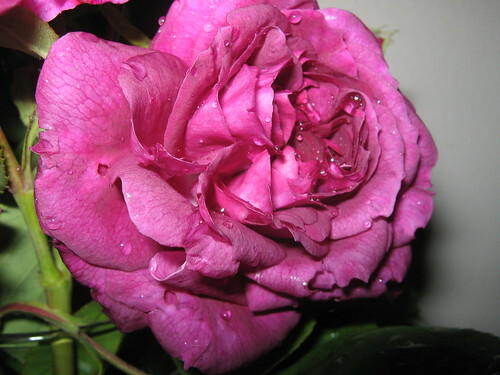 One of my favorite roses. Isn’t she lovely? possibly even moreso all rain-filled. I’d almost forgotten how much I like working with cables. My little skewed wheel, Sophie, just loves her. She’s this weekend’s silver lining. Roses, fleece, yarn and knitting. I love a post like this. The sweater has a beautiful start. thanks farmlady- if I can’t have sun, at least I can have wool, right? 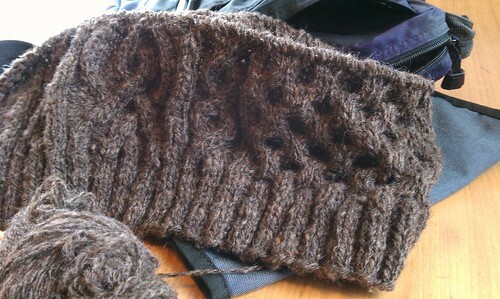 Jenny’s yarn looks just lovely. 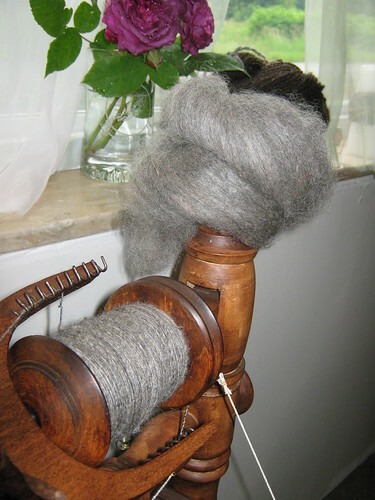 I am so glad you and your spinning wheel are enjoying her wool. thanks Donna- it it amazingly soft. 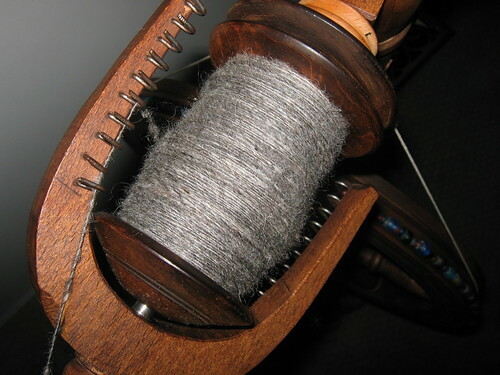 not sure what I’m going to do with it yet- just enjoying the spin for now!